The National Evangelical Synod of Syria and Lebanon hosted a delegation of the Evangelical Reformed Church in Germany on 23-26 August 2018. The delegation consisted of the President of the church, Rev. Dr. Martin Heimbucher, accompanied by the Rev. Thomas Fender, Rev. Sabine Dressler, Zamirah Rabiya and Mr. Ulf Preuss. 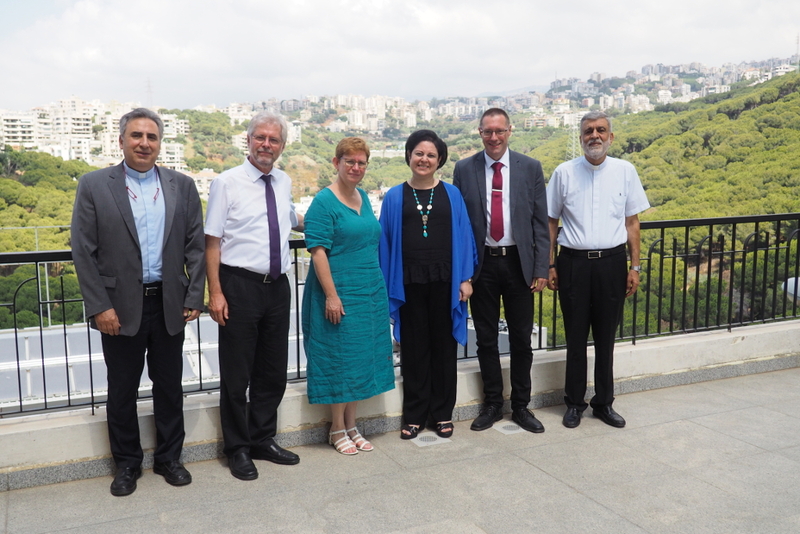 The delegation was briefed on the reality of ministry in the Synod and discussed with Rev. 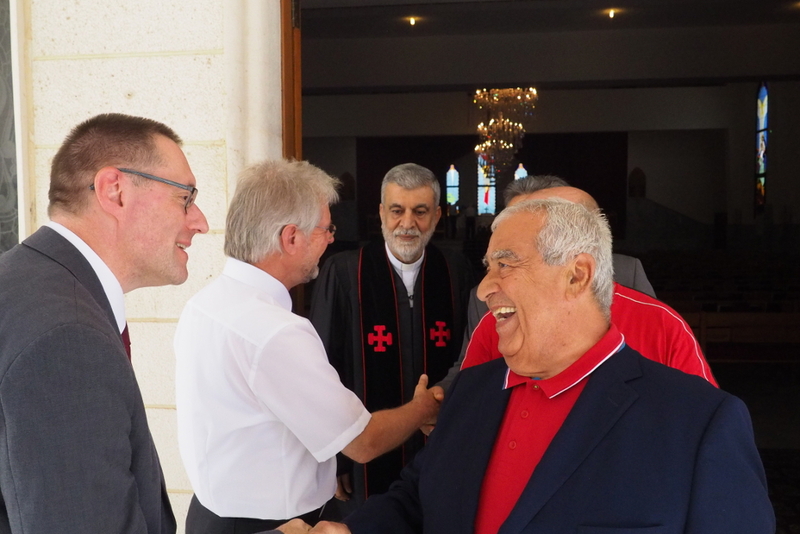 Joseph Kassab ways of strengthening the partnership between the two Churches. 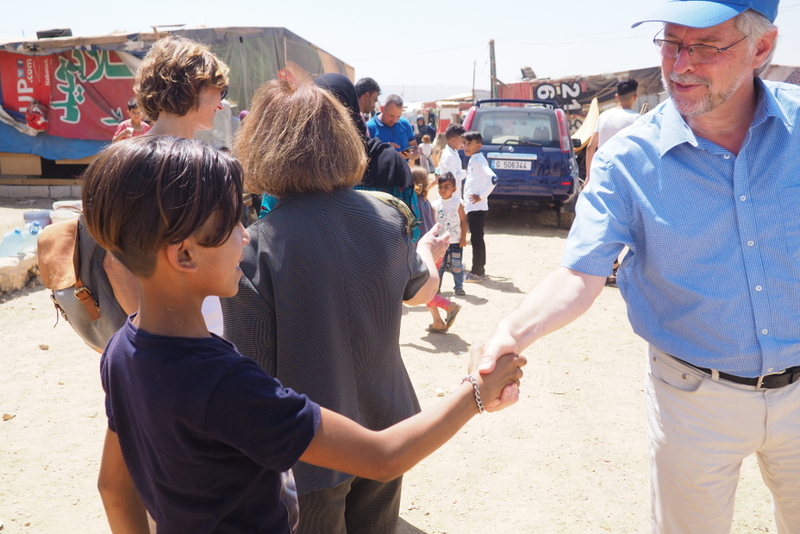 The group also visited a Syrian refugee camp and the Near East Theological Seminary, Higazian University, as well as meeting with personalities concerned in the Christian-Muslim dialogue.